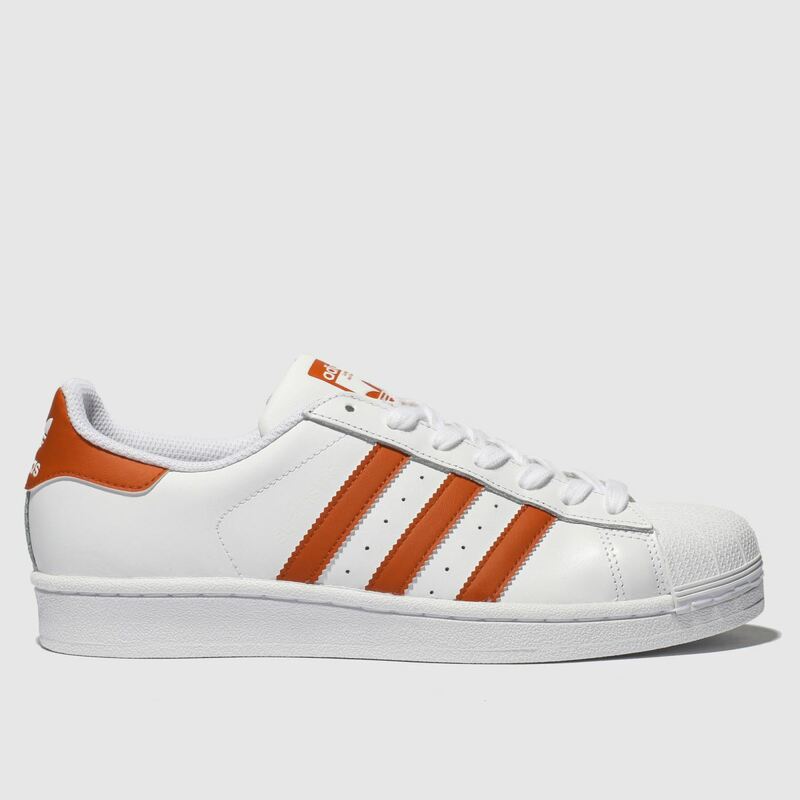 Making a welcome return to our shoedrobes, the adidas Superstar is a timeless street-style staple. 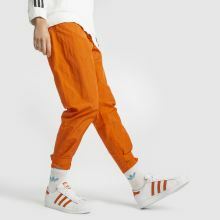 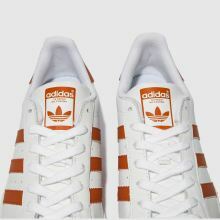 The iconic trainer features a white leather upper with orange serrated 3-Stripes and heel panel for a colour pop finish. 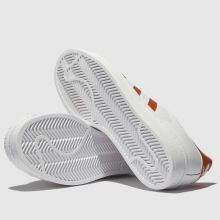 A signature shell toe completes.